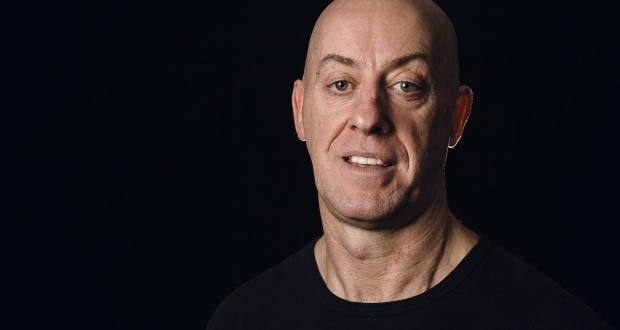 Glaswegian Gary Little is a funny man. He embodies all that is great about Glasgow patter and the city’s unique sense of humour. A typical Glasgow “big man” in his appearance, tall, powerful and baldy, his stage presence oozes confidence. With this presence comes a definite warmth and an ability to engage with the audience and get them onside from the off. Exchanges back and forth with some of the more vocal crowd members allow him to settle in and get comfortable in the room. One can only expect that this confidence will grow and grow throughout the Fringe run. The decent-sized audience at The Stand is witness to some fine storytelling comedy, delivered in Little’s unique voice. Plenty of the Glasgow vocabulary is on show in this performance, allowing it a much more natural feel but perhaps at the expense of some of the Fringe’s international guests. However, there is no doubt that Little’s obvious natural comic ability and gift of the gab is the force behind this show, and that it is most evident when he speaks naturally and freely, slang, swears and all. Little can go from a jovial cadence into a blood curdling scream at the drop of a hat, lending his punch lines an extra oomph. While this is mostly to great comic effect and well received by the audience, it can become a bit wearing for some in the audience to be yelled at for an extended period of time. There is no doubt however that, for the most part, this gives Little a definite added punch to his stories. There is a minimal, but notable use of music to accompany some of Gary’s bits. It’s well executed and well timed but doesn’t feel overly necessary and it doesn’t add to the joke enough to merit its inclusion. Little could deliver the joke as effectively without it, and often, the volume of the music would make it difficult to understand him as he attempted to speak over it. For any fans of Scottish comedy, this is a fun hour. Little has plenty of stories to satisfy his audience, and a unique delivery that drives them home. Just how much this will appeal to the mass public, however, remains to be seen.